We have designed a series of surface embellishments classes for winter. They complement each other graciously. 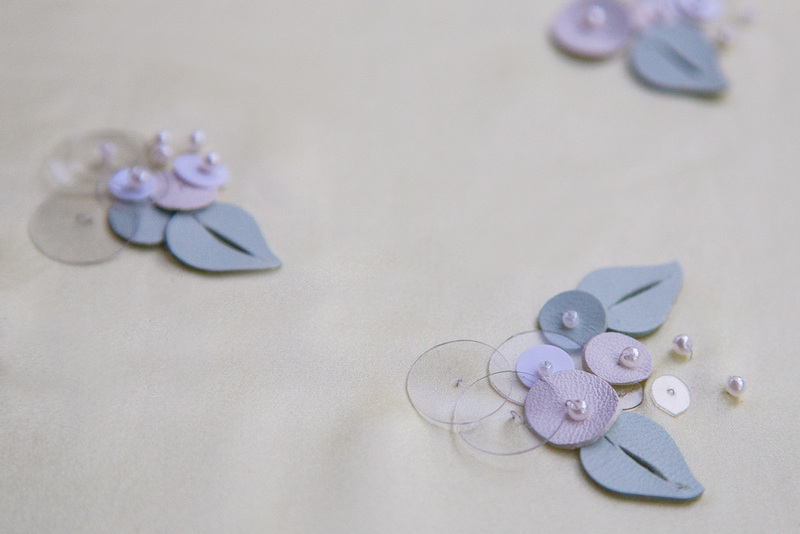 Take a hand to the scalpel in this surface embellishment class with Rosie Ford. She will teach you the techniques and processes used to create your own customised sequins using scissors, scalpels and sequin punches. Experiment with unusual textiles, along with pre-made sequins and beads to develop a collection of samples. Infuse poetry into some of your forgotten textile treasures and bring them back into the limelight or incorporate embellished panels into the construction of a pattern. A selection of floral arrangements, compliments of Cecilia Fox, will be serve as inspiration for form and colour. Saturday 13th of August 10-4pm. Rosanna Ford trained in fashion design and print at Central Saint Martins College in London. 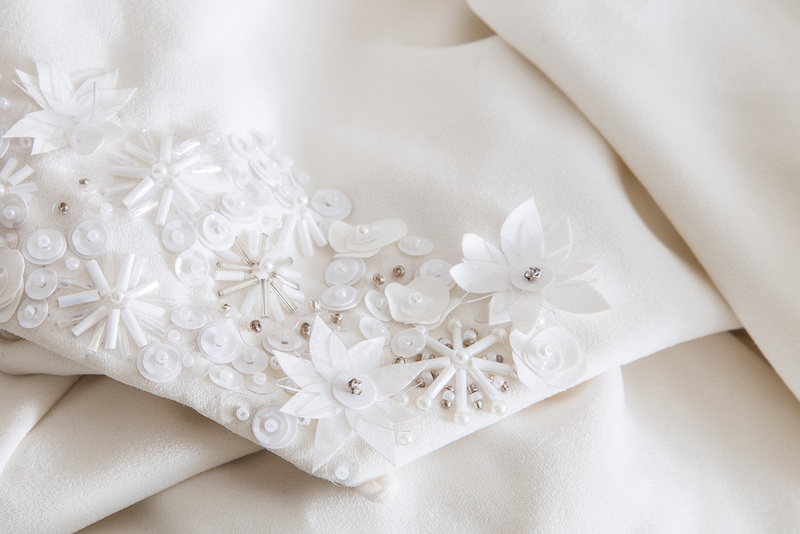 She has worked for fashion houses on four continents, including Diane von Furstenberg in New York, where she designed embellishments for clothing and accessories. Following her studies she spent time working in India, designing textiles using traditional Indian techniques, and working with local craftspeople.